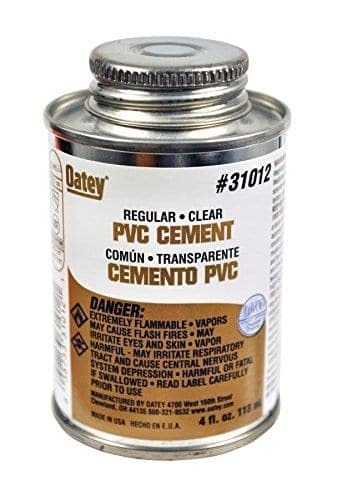 Regular-bodied clear cement recommended for use on PVC pipe and fittings up to 4″ for SCH. 40 and up to 2″ for Sch. 80 potable water pressure pipe, gas, conduit, drain waste and vent pipe. Flows freely. Sets up quickly. Apply at temperature 40 to 110 degrees F. NSF and UPC listed. Exceeds ASTM D-2564.